Photographers: When you are at a session, look for details that the average person might not see. Look for a different way to capture an image. Look for something creative. For example … all of these photographs are taking through the wagon wheel! Think of the wagon wheel as the frame. 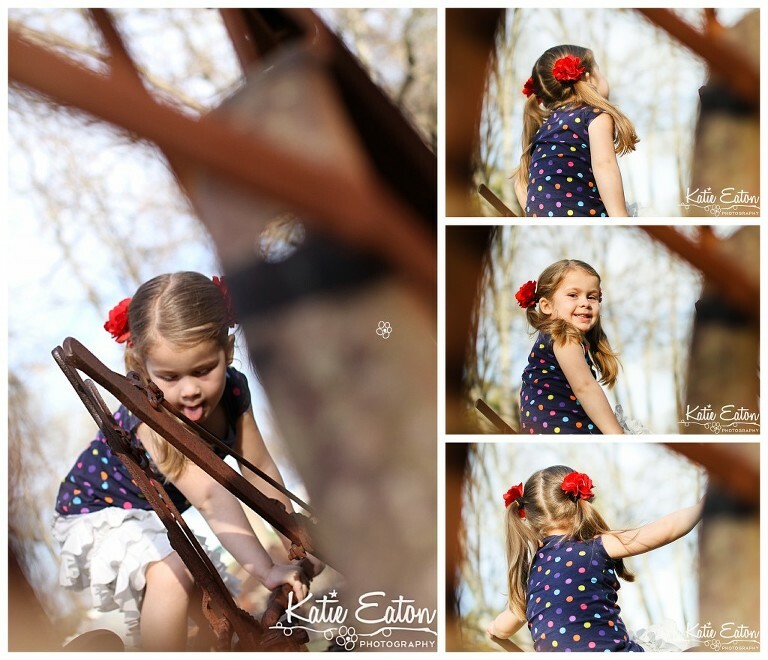 For these images, I had my 50mm and the kiddo was my focal point. My f-stop was at 2.8 which helped me achieve two things: 1. a completely focused subject and 2. a nice blur and bokeh around the image.